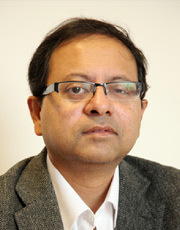 Consultant Nephrologist and Clinical lead for Haemodialyis modalities with an academic research interest in Dialysis Medicine and blood purification techniques. Early research interests in the investigation of cardiovascular mechanisms and interstitial fluid compartment shifts in extracorporeal therapies at UCL contributed to the development of blood volume monitoring technology, a part of standard dialysis care today. The current applied research programme includes projects in biomaterials and devices for extracellular fluid sensing and its transport, innovations in vascular access and blood purification technology & transformational care delivery models that can lead to direct patient benefit. Investigator role in 29 clinical trials both as a Chief Investigator (13 trials) and Principal Investigator (16 trials) with £1.9m grant income from NIHR, charities and industry with 39 publications, book chapters and journal supplements and 12 national awards. Faculty for Dialysis Study group, UK Renal Registry and various national and international nephrology courses with research roles that include supervision of post docs fellowships, International patents, Inventor of 2 Academic spinouts, 2 National Chairs (SBRI, NIHR D4D) and National Clinical Study Group Lead for Hemodialysis, UK Kidney Research Consortium. Regular supervision postdoc MD/PhD students (9 funded postdoc fellowships in the past 5 yr), Vascular Access Interventional Fellowship program, Renal Innovation Fellowship, Faculty Annual Dialysis Course Royal Free Hospital, BRS Education Committee, Undergraduate Manchester Medical School, Supervisor Nuffield STEM Projects. Renal Association, UK, British Renal Society, EDTA, UCL Alumni Network, NHS Innovation Challenge Network, Manchester Medical Society. KI, AJKD, NDT, RfPB, ASAIO, KRUK, HTA, JRC. Work reported in the media through BBC, ITV4, Guardian, Telegraph, Nursing Standard, Health Executive TV, NICE website, Health Service Journal and US Presswire release.